Living in Malaysia right now, and looking to further your education in Japan? 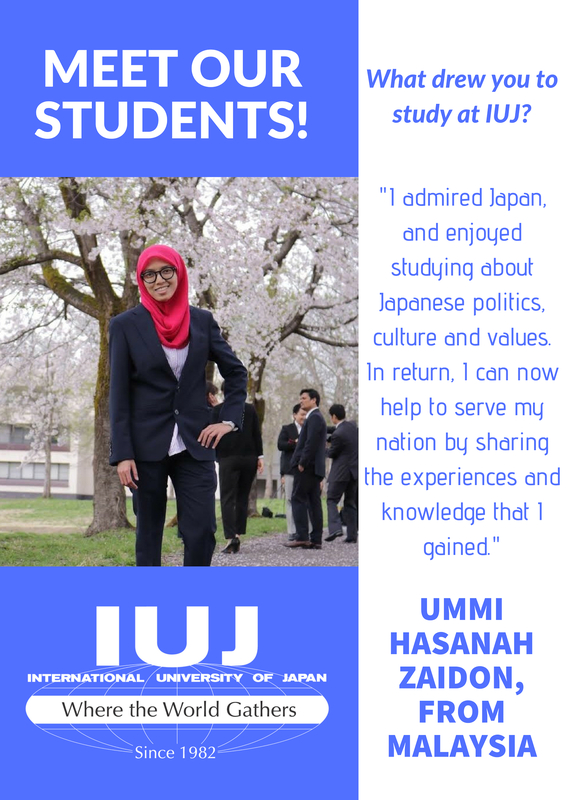 The International University of Japan is participating in the Study-in-Japan Fair in Kuala Lumpur, Malaysia on 15 and 16 December to give prospective students insight into what the school has to offer. At the IUJ booth at this Study-in-Japan Fair in Kuala Lumpur, those interested in applying to IUJ for the 2019 academic year or in the near future will be given the opportunity to find out more about what the university has to offer, as well as the chance to meet faculty and alumni for first hand accounts of their experiences with the school. 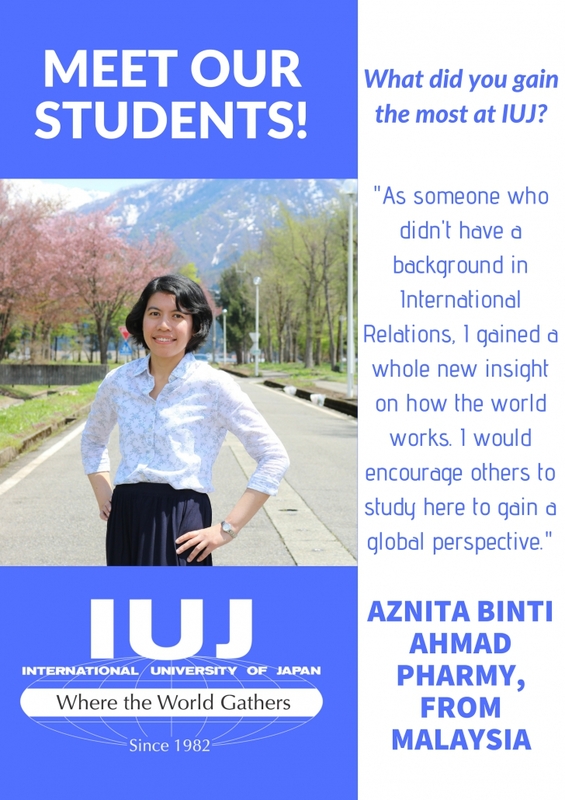 We would like to introduce IUJ Alum who hail from Malaysia! IUJ held its 2018 New Students Welcome Day The Open Campus will be held on Saturday, November 24.